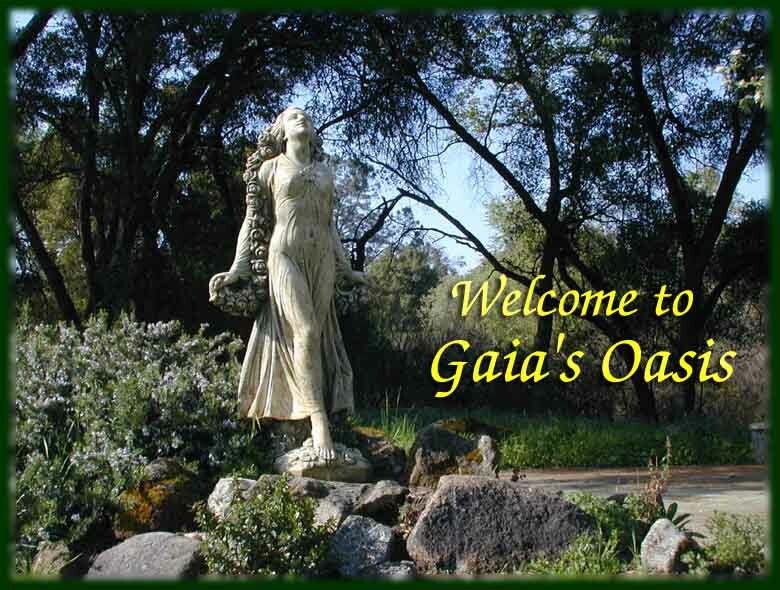 Welcome to Gaia's Oasis, a Nature Preserve located in the Sierra foothills of central California. Gaia's Oasis is 125 acres of oak woodlands which includes three ponds, a spring and several creeks, making for a diversity of natural habitats. Gaia's Oasis is located near the geographical center of California south of Yosemite. This land was once inhabited by the native Mono people, who left many traces of their presence, and we at Gaia's Oasis are dedicated to preserving it as sacred land. All Pages & Images created with 100% Pure Macintosh Technology. All Images, Text, and Audio Copyright © 1997 - 2006, Christopher Galfo.